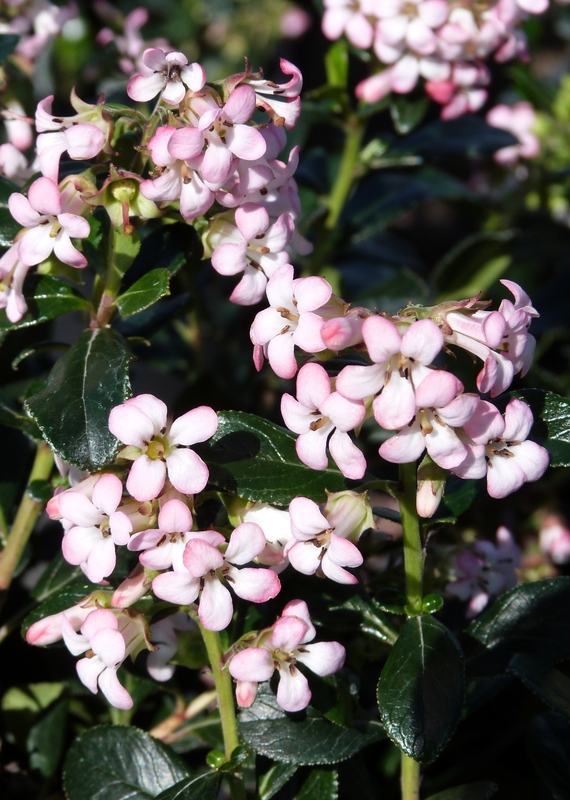 Pink Princess Escallonia is one of those beautiful blooming shrubs you can’t believe is tough enough for use as a foundation, hedge or screening plant. Dense and fast-growing, Escallonia brightens up your landscape from spring through fall with its bright pink to rosy-red blooms. The dark green glossy leaves are evergreen and fragrant. Plants tolerate shearing fairly well, although you’ll lose all the beautiful blooms if you shear regularly. Selective and tip-pruning in early-spring can be used to keep plants to desired size without compromising the flowers. A heavier pruning can be performed in early-fall after plants have finished blooming. Plant in a full sun location and regular waterings. A couple of important things to note about Escallonia: It doesn’t tolerate alkaline soils; be sure to plant it in fertile well-draining soil. It also needs protection from northern winds. Plants should be covered if a frost is forecasted.